Ranger, seven, has a bit of a Napoleon complex. You go, Ranger! I had just taken a bite of sandwich when I read this. I nearly choked! hahaha I chocked on my drink ! Must have been funny to see !! 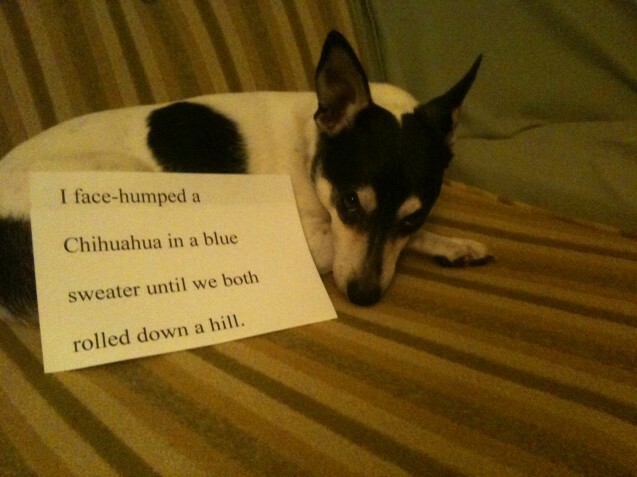 You are a very determined doggie. I hope you both had a good time. I can’t stop laughing, either. He doesn’t look the least bit ashamed. so, you were wearing the blue sweater, or the victim was? Too funny! Way to go, Ranger! 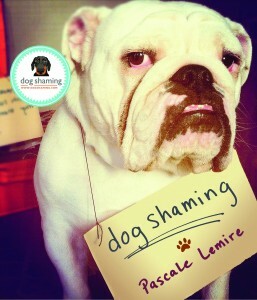 I’m so glad people post truly embarrassing dogshaming entries. Love it! Such a cute little dog too!